Many methods focused on describing the attackers’ behavior while ignoring defenders’ actions. Classical game-theoretic models assume that attackers maximize their utility, but experimental studies show that often this is not the case. In addition to expected utility maximization, decision-makers also consider loss of aversion or likelihood insensitivity. Improved game-theoretic models can consider the attackers’ adaptation to defenders’ decisions, but few useful advice or enlightenments have been given to defenders. 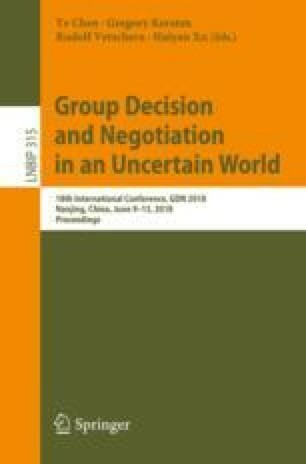 In this article, in order to analyze from defenders’ perspective, current decision-making methods are augmented with prospect theory results so that the attackers’ decisions can be described under different values of loss aversion and likelihood insensitivity. The effects of the modified method and the consideration of upgrading the defense system are studied via simulation. Based on the simulation results, we arrive at a conclusion that the defenders’ optimal decision is sensitive to the attackers’ levels of loss aversion and likelihood insensitivity. We are thankful to the Editors and the reviewers for their valuable comments and detailed suggestions to improve the presentation of the paper. Further, we also acknowledge the support in part by the National Natural Science Foundation of China under Grants No.71690233, NO.71501182.